The colon is an important body organ that is used to move digested food using a wave-like motion known as peristalsis. The primary function of the last five feet of the large intestine (also known as the colon) is to absorb mostly water (and some nutrients), and to prepare waste for elimination. 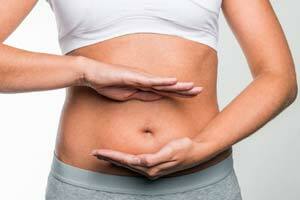 When bowel movements are not regular – waste builds up in the body and toxins will cause illnesses throughout the body. Infections can occur, proper nutritional absorption will be hindered, and all over body weakness can occur. When an unhealthy colon is left unchecked, it can lead to interior structural damage, such as a breakdown of important mucus that lines the colon. An excessive amount of parasitic bacteria in the colon is known to be linked to Irritable Bowel Syndrome (IBS), fibromyalgia, and Crohn’s disease. If you do not believe that constipation and other intestinal issues are not a national problem, consider the fact, that 400 million dollars a year are spent on laxatives in the United States. One in every six (6) adults suffers with chronic constipation. It costs one patient close to three thousand dollars in medical tests for chronic constipation to be properly diagnosed, and an addition $5,000 for effective treatment. In addition, more than 140,000 people, in America, are diagnosed with colon-rectal cancer every year. Periodically, cleansing the colon is recommended, to reduce the risk of cancer-causing agents that can attach themselves to the walls of the colon. Most important nutrients, from food, are absorbed in the small intestines, while the large intestine absorbs the remaining fluid from waste, as it continues to move toward evacuation. During this process, sodium is absorbed and potassium discharged, and there is anywhere between 300 and 1,000 different types of tiny bacteria (some of which produce biotin and Vitamin K). There is good (friendly) and bad (unfriendly) types of bacteria. An abundance of bad bacteria will inevitably lead to physical discomfort and diseases. An interesting fact is that gut bacteria is linked directly to your immune system (about 75%), and this is another important reason to keep your colon clean and working effectively. How do Intestines get Unhealthy? Everything we eat affects the walls of the stomach, small and large intestines. When products are toxic (unhealthy) – cells, nerves and glands are damaged. Peristalsis will decline, and because of this slowing of the digestive process, putrefaction and fermentation of undigested food, with yeast and bacteria, increases. Gas and acid toxins are created from the buildup of bacteria and yeast. In turn, intestinal walls become inflamed, and research has shown that brain behavior changes, and the nervous system is directly impacted in a negative manner. When fluids are not properly absorbed by the intestines, dehydration will quickly become a problem. The most common dietary offenders are white flour, sugar, salt, and animal products. Stay hydrated by drinking at least three (3) quarts of water daily. Water helps to hydrate, disinfect and sooth intestinal tissue that may be inflamed. Consume 30 to 40 grams of fiber on a daily basis. Acidic fruits are the best and strongest cleansing solvents for the colon. Abdominal massage. Rub your abdomen in a clockwise direction, first thing each morning. Regular massage, as well as exercise, will help to break up hardened matter (especially in the colon), stimulate circulation, as well as tone and strengthen muscles and tissues. Use deep breathing techniques, while having a bowel movement. Yoga is a great way to train your body to breathe properly. A slow rhythmic breath is the basis of peristalsis, also blood is regenerated, and the entire nervous system is restored. A person’s mental state of mind affects their physical state. Therefore, it is important to resolve any emotional issues that may be causing you stress and anxiety, as this could be having a negative effect on your colon. Chew your food slowly and thoroughly. This is not only a good social skill; it also helps to maintain a healthy weight. This practice will also help to break down your food into tiny particles that are easier to digest. The smaller the food particles, the easier it is for the intestines to gather energy and absorb nutrients. Quality sleep, on a regular basis, promotes a healthy gut. The hormone, Melatonin, (which promotes sleep) is said to be produced in the body, while a person is sleeping in a dark room. When a person stays up late looking at a blue light (also known as a computer screen), the melatonin process in the body significantly reduces. The gut has 400 times more melatonin than the pineal gland (where the melatonin is produced).